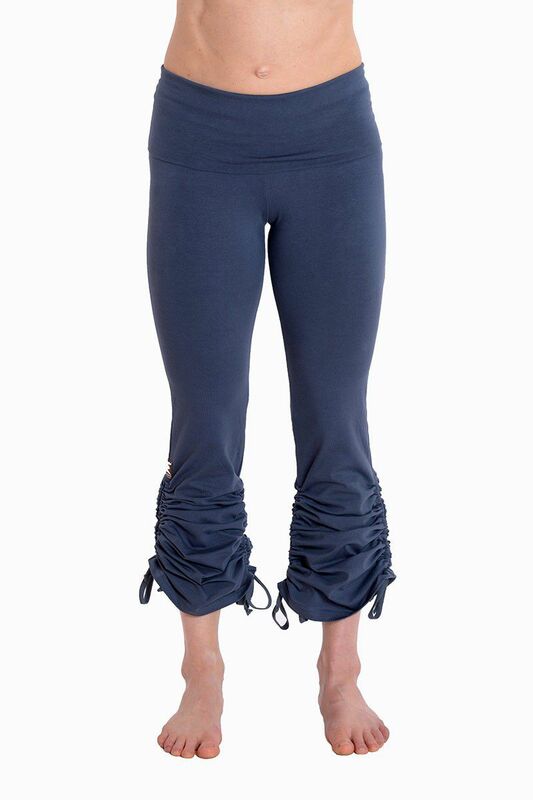 Yoga pants in 93% organic cotton / 7% elastane. Wide waistband that can be folded down for that extra comfortable feeling. 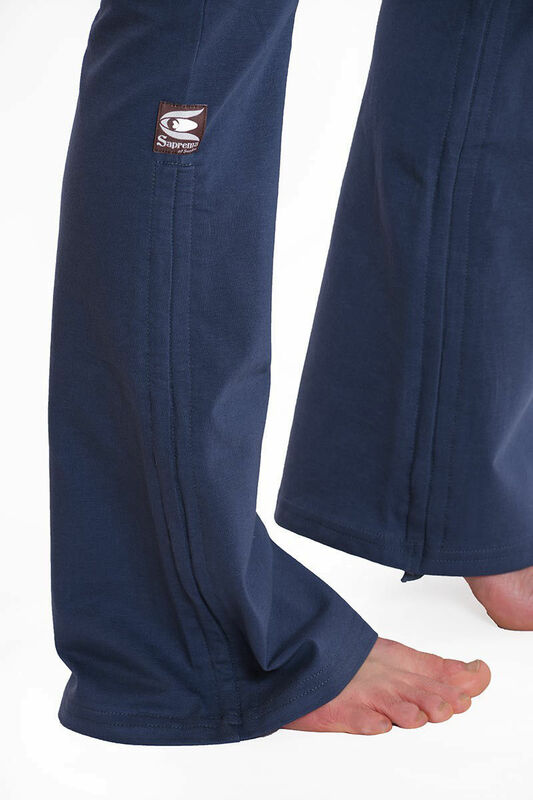 On the side of the lower leg you will find a drawstring on both sides to shorten the pants if desired. This style is a long time favorite in our Sapremaworld!